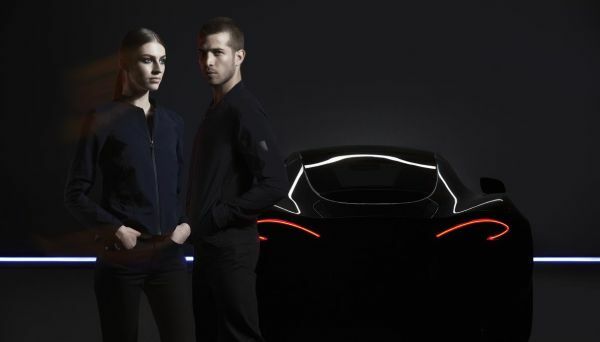 A unique new “capsule” collection of men’s and women’s luxury clothes is announced today by McLaren Automotive and Belstaff, marking the first collaboration between the creator of luxury, high-performance sportscars and supercars and the iconic British clothing brand. The respective creative teams combined their design philosophies and expertise to create new original luxury clothing, perfectly suited to the needs of both brands’ customers. Each piece has been purposefully designed to incorporate ergonomic seam lines and innovative stretch fabrics to allow for a full range of movement for a lifestyle at the wheel and beyond the car. The Belstaff X McLaren Collection comprises 10 men’s outerwear items and three women’s pieces, with each element embodying the design ethos, materials innovation and performance heritage at the heart of the two brands. The collection characterises the “capsule wardrobe” principle – based around a few essential classics that never go out of fashion – in the most elegant and functional way possible. 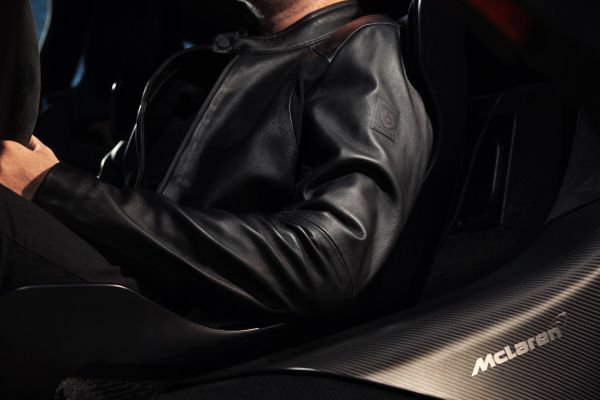 As with McLaren’s range of luxury performance cars, the products in the Belstaff X McLaren Collection tell the visual story of their function in a simple but technically precise way. The pieces feature classic designs and a limited colour palette of black and deep navy, in order to be flexible and functional and as easy to wear during the working week as at weekends. Rob Melville, McLaren Automotive Design Director: “The Belstaff X McLaren Collection represents the pure distillation of what you need, made beautiful. There is no excess. Everything is there for a reason. Sharing the same brand values, design philosophy and creative processes allowed the McLaren and Belstaff teams to create a collection uniquely McLaren while at the same time honouring Belstaff’s near-100 year tradition of technically excellent, beautifully crafted outfitting. The choice of generations of pioneers, Belstaff has been worn by the great and the good including revolutionary Che Guevara, Steve McQueen and the first female aviator, Amelia Earhart. The combination of outfitting innovation with McLaren’s 50 years of racing and automotive experience has resulted in a collection of expertly curated pieces that puts the driver centre stage. Mesh ventilations, laser-cut seams, pivot armholes, padded shoulders for seatbelt comfort, concealed micro pockets and minimal necklines to aid peripheral vision are some of the ways in which the Belstaff X McLaren Collection has been tailored for in-car comfort. Innovative stretch fabrics allow for a full range of movement while the lightweight, breathable and water-resistant fabrics ensure pieces can be worn in a variety of environments. Both men’s and women’s collection are centred around three outwear styles: an all-season Performance Shell Field Jacket; a lightweight stretch nylon outerwear, named the Lightweight Hero Driving Jacket; a Hybrid Leather Driving Jacket. The men’s collection also features other suiting, shirting and layering options. 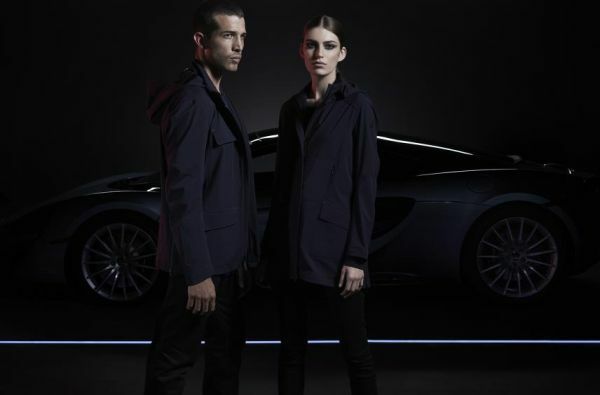 Each piece in the Collection features a serial number and a Belstaff X McLaren label. The Belstaff X McLaren Collection launches Tuesday November 6 in the UK, Europe and the USA, with the Collection launching in Asia early 2019. The Collection will be available from selected McLaren Automotive retailers worldwide as well as Belstaff’s global stores and official online sites, and selected retail partners. MINI creates the world’s first MINI LIVING building in Shanghai. BMW Lifestyle presents five new Sport Collections. BMW International Open 2016 in figures. Dream Racer Nominated Against Brad Pitt's Narrated Film, Hitting the Apex at Film Festival. BMW becomes Global Partner of the 35th America’s Cup.